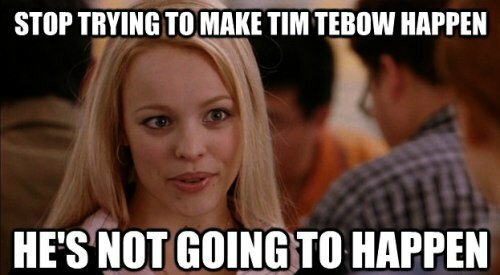 The NFL season is underway and I only have one question: Where is Tim Tebow? Due to his lackluster NFL career, Tebow has been on the back burner this whole year, leaving us with no shred of hope for his return to the NFL. Well maybe as an assistant coach….or better yet a cheerleader…. 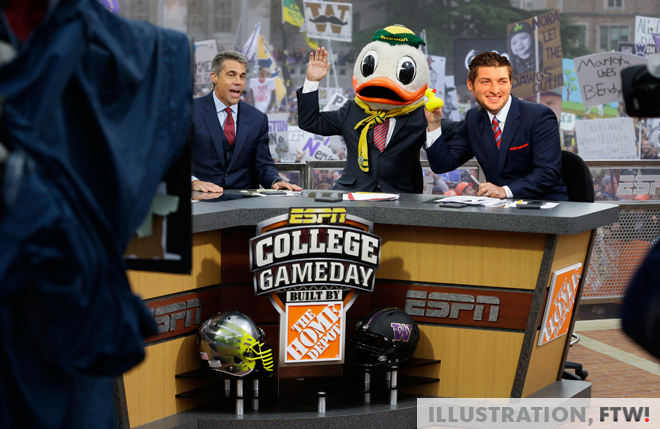 Apparently Tebow has prospects outside of his football dreams: broadcasting. Go figure. 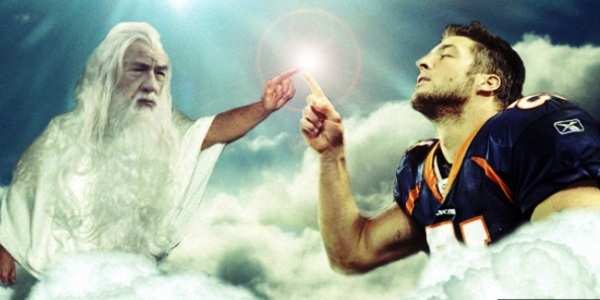 Tim Tebow could be coming to a TV screen near you…. One place the Florida Gator legend could land is ESPN’s SEC Network, which is set to debut in August 2014 with the intention of launching its own version of “College Gameday.” Of course the almighty SEC wants its own network. My vote is to replace Lee Corso whose commentary is border line senile and useless, which is why he resorts to gimmicks like stealing school mascot head gear. 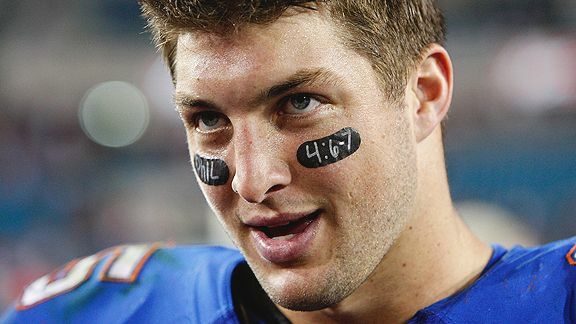 Regardless of where Tebow lands, his pop culture clout and go to Jesus persona should be enough to entice even casual football viewers into watching him. Just think we can watch him on Saturday mornings and not have to go to Church the next day. And let’s be honest, haven’t we missed him?